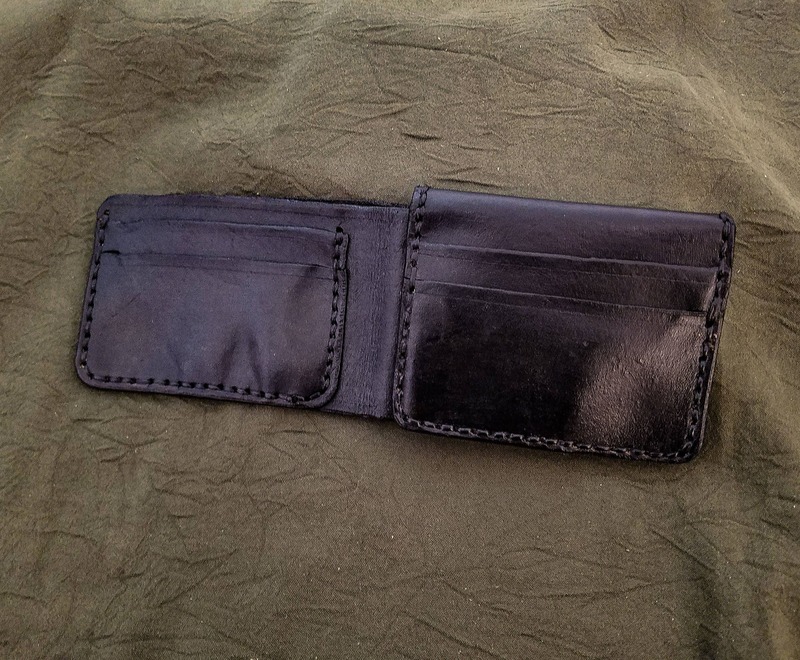 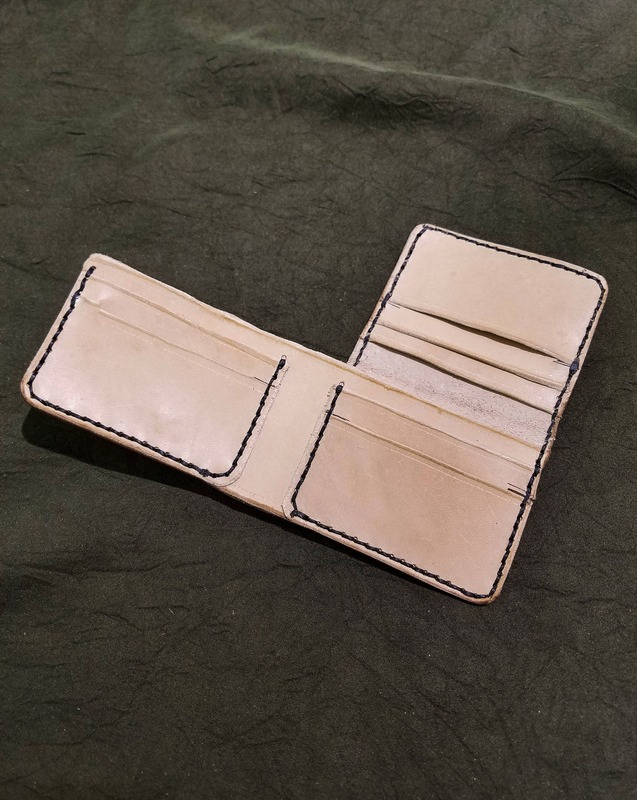 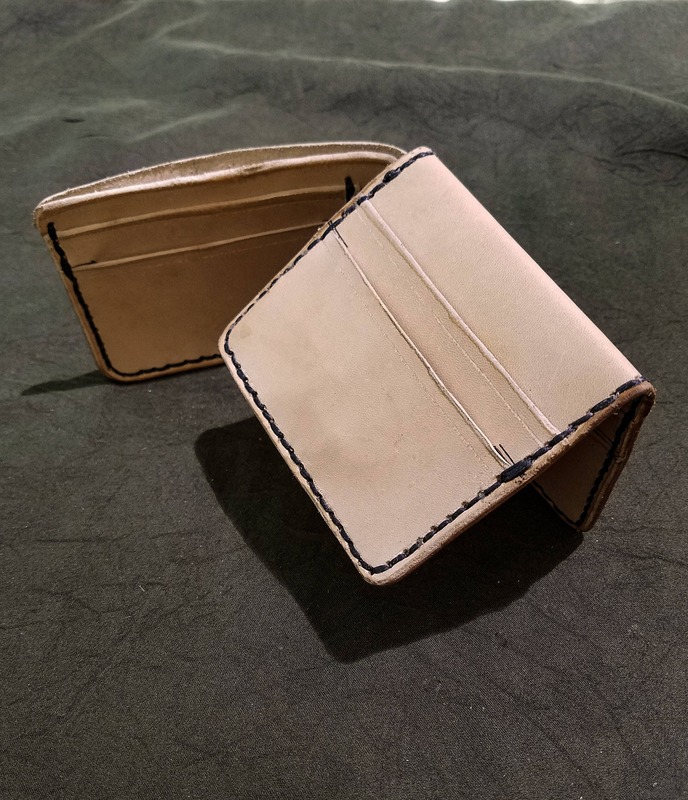 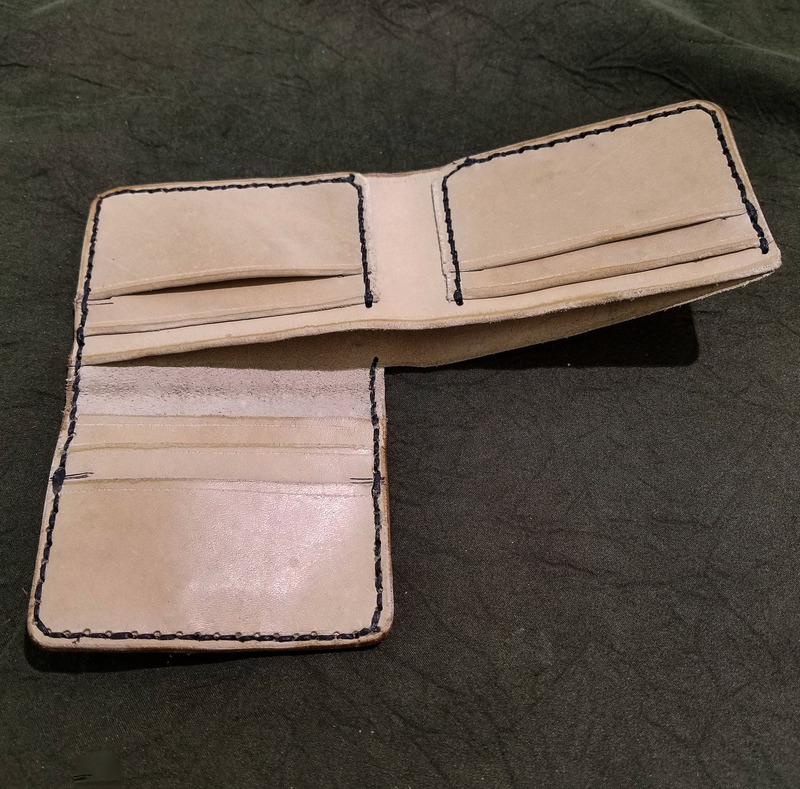 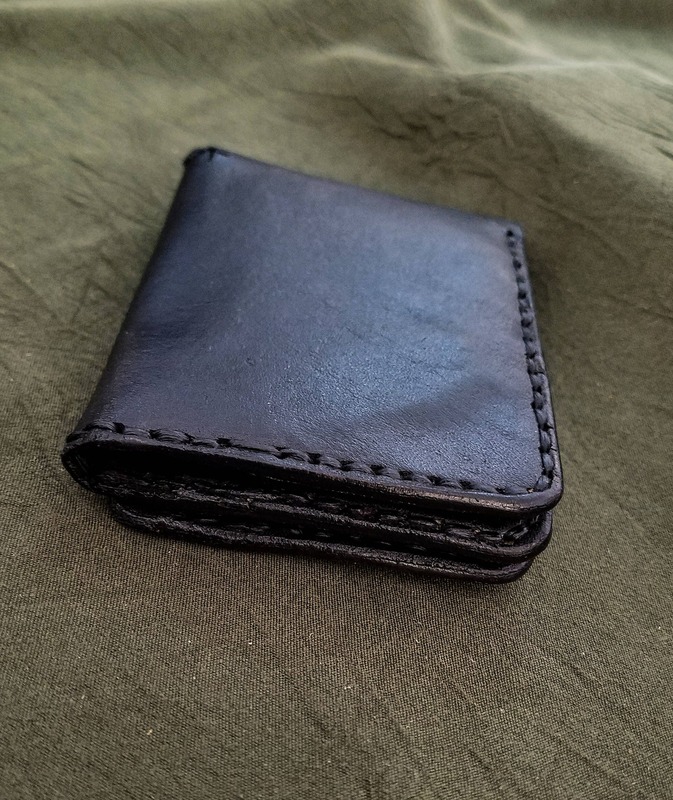 This trifold wallet folds it's 3rd section in a less standard way, allowing for a decent sized pocket to conceal change, cash, microfilm, or the condom you've had since 8th grade. 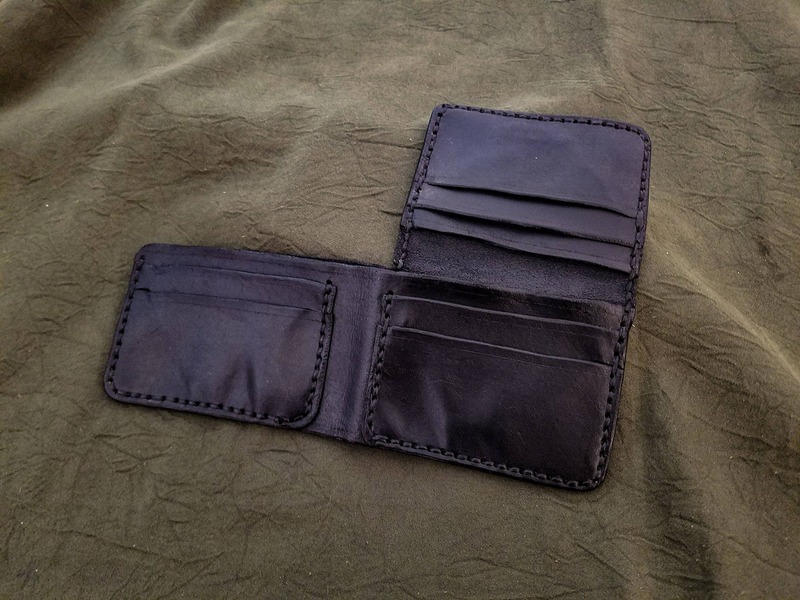 Aside from the main cash section and folding pocket, there are 8 card slots on the inside, which can hold 8 cards, or 16 if you're feeling adventurous. 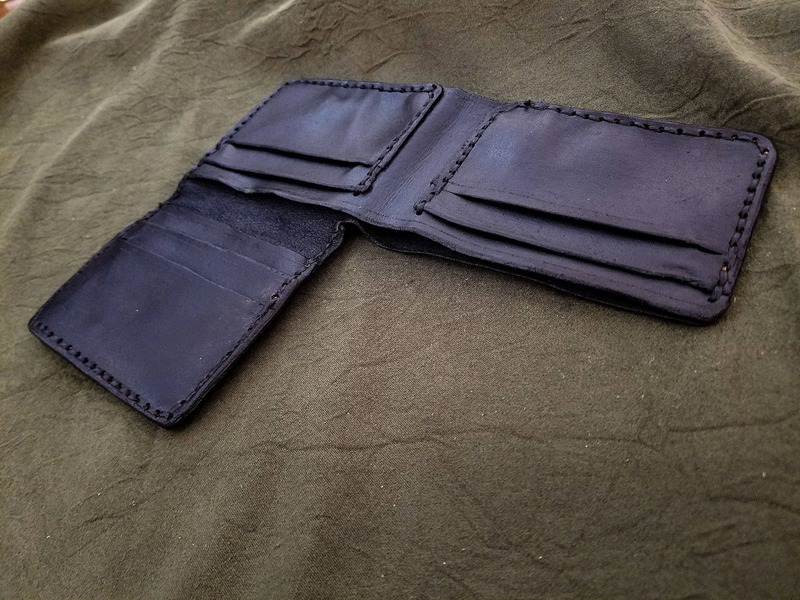 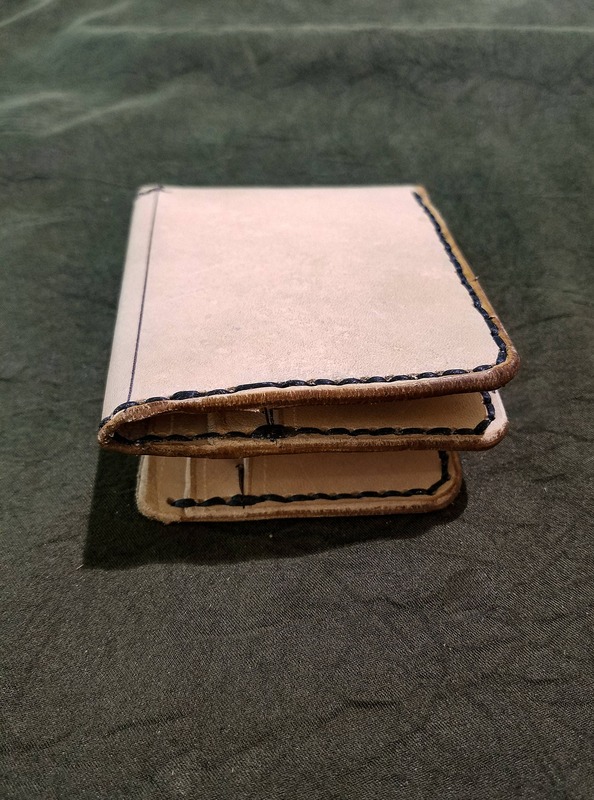 Each wallet is made out of 2-3 ounce vegetable tanned cowhide, hand stitched, can be dyed in numerous colors, and stitched in your choice of color to give it your own flair.